Chinese OEM’s have been dominating the smartphone market in recent times and have (in many cases) given the well established “big names” a good run for their money. Brands such as Xiaomi, Huawei, Oppo etc. have been creating strides not just in the Asian markets but all over the world. Another significant name to join the family is ZTE, a well recognized name across China and other regions. 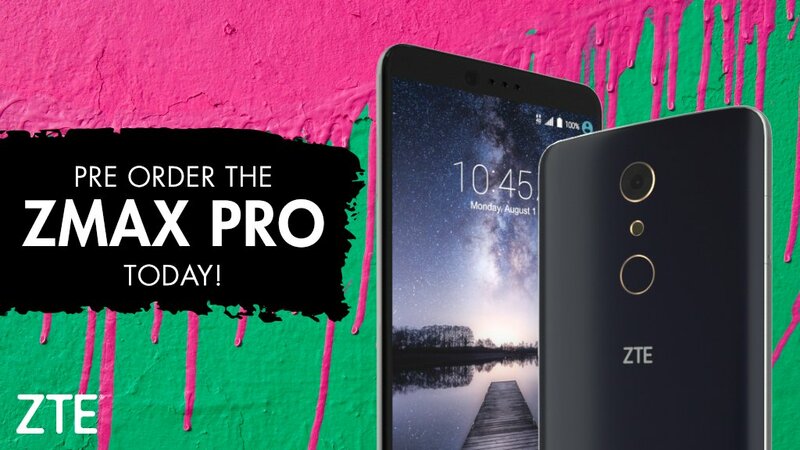 On July 18th, the company held a mega rooftop launch event in New York where they announced the ZTE ZMAX Pro which could very well be considered as currently the best budget friendly smartphone in the world. Priced at just $99, this beast has a lot to offer. The device sports a 6” full HD 1080p Gorilla Glass 3 display, 2GB RAM, a Qualcomm Snapdragon 617 Processor, 32GB of onboard storage with additional support for SD card, a 13MP rear camera, a 5MP front camera, a 3400mAh battery, finger print scanner and runs on Android Marshmallow. The device is also the first budget phone which supports USB-Type C along with quick charging functionality and is available for pre-order now. The first 5000 orders will be shipped with a stylish leather wallet case so if you’re on the lookout for a new phone without burning a big hole in your pockets, then the ZTE ZMax is definitely the phone you are looking for. Head on over to ZTE’s website and place your orders today.